Jaipur Doordarshan will telecast Sanganer Jain temple on April 12. There are very old Shwetambar Jain twin temples at Sanganer, near Tripolia gate, Jaipur. The older temple of Lord Adinath Rishabhdev is built in Nagar style of architecture in 10th or 11 century. Another of the twin temples Sri Chandaprabhu Jain temple is 400 years old. 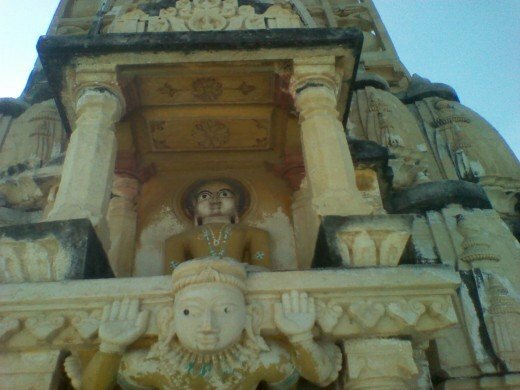 Sri Jain Shwetambar Khartar Gachchh Sangh manages these old twin temples. Manak TV has filmed both these temples and Jaipur Doordarshan will telecast this on Saturday, April 12, 2014 at 6 PM. We have to remember that it is the pre-evening of Mahavira Jayanti. Nice post on Jain Dharma. Such a great information on Jain Tirth ! !